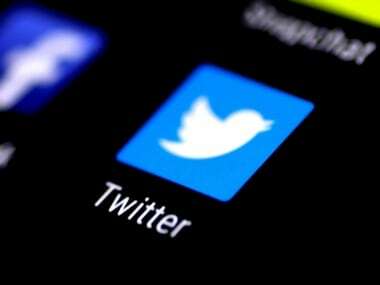 Social media giant Twitter is visiting Capitol Hill Thursday as part of the House and Senate investigations into Russian interference in the 2016 elections. Twitter’s closed-door meetings with staff follow similar briefings from Facebook earlier this month. The House and Senate panels have invited both tech giants, along with Google, to appear at public hearings this fall. The committees are scrutinizing the spread of false news stories and propaganda on social media, to what extent Russia was involved and whether anyone in the United States helped target those stories. Staff on both panels are likely to ask Twitter about the bots, and also about some of the potential vulnerabilities in terms of tracing potential foreign intrusions. There have been concerns among some lawmakers that the company doesn’t move quickly enough to remove posts and isn’t able to track the original postings that were spread and retweeted. Twitter, Facebook and Google haven’t yet said whether they will accept the invitations to testify publicly before both intelligence committees. The House intelligence committee is planning to hold a hearing in October and the Senate intelligence committee has invited witnesses to appear on 1 November. Rep. Adam Schiff of California, the ranking Democrat on the House Intelligence Committee, confirmed the House hearing in an interview with the AP, though he noted a date had not yet been set. The details of the invitation from the Senate intelligence committee were confirmed by two people familiar with the panel’s interactions with the companies. They spoke on condition of anonymity to discuss the private invitations. The companies have some incentive to comply with Congress and appear, as Warner and Minnesota Sen. Amy Klobuchar have said they are preparing legislation that would enhance transparency for online political ads and require social media companies to keep a public file of election ads and communications. The bill would also ask companies to “make reasonable efforts” to ensure that election ads are not purchased directly or indirectly by a foreign national. Also Thursday, the Senate Judiciary Committee — another panel investigating the Russian interference — is waiting to hear back from the Justice Department about whether it will allow the testimony of two FBI witnesses close to fired director James Comey. The department said in letter last week that Jim Rybicki and Carl Ghattas could speak to the committee if they avoided questions “directly relating to, or interfering with” the investigation of special counsel Robert Mueller. That was after Grassley said he was preparing subpoenas for the two to appear. Mueller is also probing Russian interference and Comey’s firing. In a letter Wednesday, Grassley asked the department for clarification, saying he could still subpoena the witnesses if they wouldn’t talk about certain topics, including “DOJ’s and FBI’s activities” related to President Donald Trump and the investigation into Russian interference. Grassley said he also wanted to ask the witnesses about Comey’s removal, improper political influence at the department and the department’s investigation of former Secretary of State Hillary Clinton.